With the release of the Administration’s Fiscal Year 19 (FY19) budget, the process has officially begun for determining funding levels for federal programs for the next fiscal year. In the Administration’s budget, many non-defense discretionary programs, which are integral to the work of the America Forward Coalition and directly impact communities and individuals across our network, were cut or defunded altogether. As a result, taking action now and communicating with your Members of Congress the impact of the decisions they are making is critical. Below are tools and resources you can use to communicate with Members of Congress during the Appropriations process about the programs important to your organization, the communities you work in, and the individuals you work with. America Forward deeply engages every year in the Federal Budget and Appropriations process. We work with our Coalition and members and partners to share our collective funding priorities for each fiscal year with key Congressional Appropriators. Our team also provides informational briefings on the Federal Budget and Appropriations process. We continue the use of our communications channels to highlight the results-driven solutions our community has to our country’s most pressing social problems and the evidence-based federal programs that are critical to scaling the impact of this work. Follow along on Twitter using #EvidenceinAction and#Practice2Policy and email us at America_Forward@newprofit.org to learn how you can join the conversation and to contribute to our ongoing Coalition Appropriations efforts. It is important to highlight the impact of decisions being debated regarding federal funding and potential cuts for important federal programs like AmeriCorps, 21st Century Community Learning Centers, Teacher Quality Partnership, LIHEAP, and Community Services Block Grant, to name just a few. Additionally, as a community that supports focusing government funding on what works, it is critical to highlight programs for which outcomes are being collected and where the impact has been evaluated. Help us make a difference by contacting your Member of Congress! If you have any questions about sending these requests to your Members of Congress, please do not hesitate to reach out to us at America_Forward@newprofit.org. Calling Congress is one the most effective ways to make your voice heard. Overflowing voicemails and busy staffers mean that constituents often spend hours waiting to deliver a 1-minute message. That’s why Stance was created. 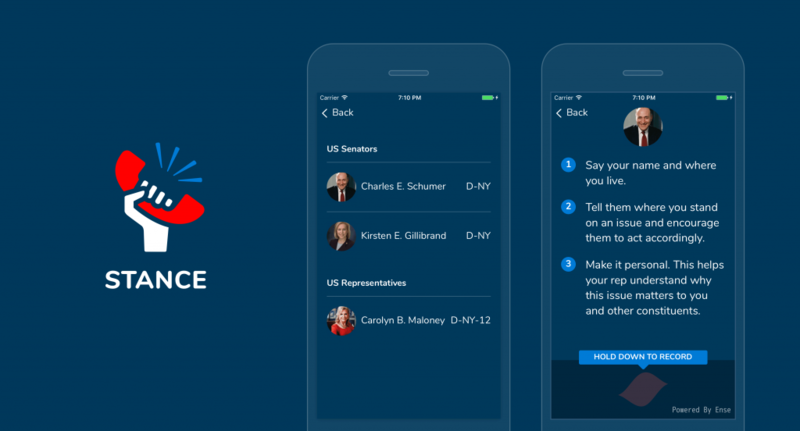 Stance sends your message directly to your representative’s phone and Twitter handle, and also posts them on takeastance.us for others to be inspired. You can record your message anytime, anywhere with just a few clicks.